Coaching brings with it a wealth of tangible benefits for both individuals and organisations. For individuals, it can increase personal effectiveness, performance and achievement at work as well as developing relationship skills, communication skills and improve work-life balance. As a result, organisations that invest in coaching for their people see a positive impact on business management, team effectiveness and ultimately see a return on their investment through better performance. The coaching relationship is a very personal one, and at h2h we believe coaches should have some choice in who coaches them. We have an experienced team of 7 coaches with a range of styles and approaches and we will help you to choose the best coach for your needs. All of our coaches are experienced, have accredited coaching qualifications, subscribe to a professional code of ethics and have supervision arrangements in place. 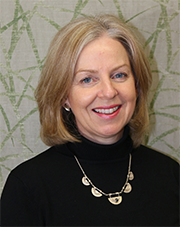 Susan has a passionate belief in the potential and resourcefulness of individuals to achieve their chosen goals. She will help you, as a senior leader, to pinpoint exactly what will make the difference for you. She will explore how you may achieve this and challenge you to achieve what you know you are capable of. As an experienced facilitator of change and leadership development, Susan can offer a variety of techniques that clients find helpful. These include tools that enhance self-awareness, models and frameworks that offer food for thought on potential solutions and action planning for results. 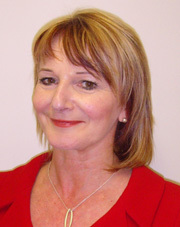 As well as one-to-one coaching, Susan is a talented and experienced group coach. She creates a safe, provocative and productive environment for teams to accelerate collective and individual performance. Julie particularly relishes working with leaders to develop their emotional intelligence, increase their personal impact, build their resilience and create strong, trusting relationships within their team and with stakeholders. She enables this through one to one, and team coaching and group facilitation. Incisive questioning and empathic understanding to get to core issues quickly. A focus on applying the learning to real world, sustainable, performance improvement. Clients themselves describe her as warm, direct, insightful and stretching. Robbie has over 1000 hours experience in Business and Personal Coaching and has spoken on the topic of Coaching & Mentoring at two National Conferences. The main focus of Robbie’s coaching lies in his ability to help clients to make breakthroughs in their thinking and behaviour in order to overcome challenges or achieve goals. The results are often significant changes in performance at an individual level leading to real business results. 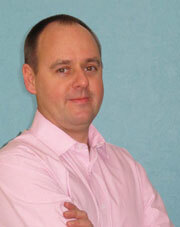 Passionate about coaching Robbie has an authentic and motivational style. He uses a flexible approach which takes account of the needs and energy of the client and the outcomes that are required. The coaching draws from a wide range of techniques and theories which include solution focused, mindfulness, NLP and cognitive behavioural coaching. These are used in conjunction Robbie’s own intuition and experience. The qualities that he utilises to get consistent results for his clients are energy, insight, focus, tenacity, challenge, empathy and support. The Coaching time which I shared with Robbie (I say this because Robbie at no time made me feel led, he skilfully let me come to my own conclusions) was invaluable to me at a time when I was leading my business towards major change. One of the greatest ‘eureka’ moments was when Robbie simply challenged the way I was self-critical on certain perceived skills when these were not core to my activity in the organisation – even in my role as MD. Alongside this, he was able to help me through four key issues with which I was struggling to handle alone, again challenging and probing to find the solution which would work best. Finally, he was able to help me drive out a level of procrastination I had developed over the years and subsequently I now act in a far more decisive way than previously. I would certainly recommend Robbie to anyone needing that extra resource in their organisation who can help in ‘making sense of it all’. The Chartered Institute of Personnel and Development. 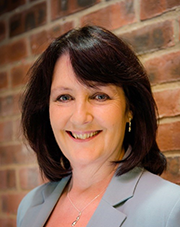 Helen brings pragmatic and real life experience for clients and has specialist expertise in coaching individuals in both business and personal issues. She provides results driven support and works in an empathetic yet self-enabling style that has both immediate and long term benefits. Intuitive and value driven, believing in open and honest relationships where solutions to problems can be found. Passionate about people and committed to working with individuals and organisations to improve their performance and increase opportunity. Feedback from clients confirms her approach is outcome driven and they can clearly describe the difference her involvement has made to their business and to the people working within them. “My time working with Helen was brief but during our coaching relationship I gained so much and it opened up a lot of new possibilities for me. I found an instant connection with Helen as she is a very approachable and she instantly put me at ease – having never had a Coach before I was very nervous and I don’t often talk as openly as I did with her. She made the whole process very easy and she is very sensitive. Helen helped me to see my strengths – some of which I had never noticed before or had disregarded over time. She also helped me to highlight important development areas which were very important to build on when refocusing my career aspirations. Overall, my experience with working with Helen was enjoyable, helpful and extremely insightful into my character – both in my working life and in my personal life. It gave me back the motivation to push forward again and helped me to realise that I still have considerable potential. This has helped me to use this potential in a positive way. To compliment her years of coaching practice, Debbie completed an ILM Level 5 Certificate in Coaching and Mentoring in 2014, and her coaching is delivered under the Association for Coaching’s code of ethics. More recently Debbie has undertaken a Masters degree in Occupational Psychology. 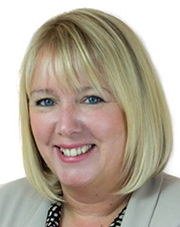 Debbie has coached high potential employees, emerging and senior leaders in a variety of organisations, including automotive, financial services, pharmaceuticals and FMCG. She also delivers Coaching and Mentoring training for line managers in a number of organisations. Debbie was a contributing author to “50 Top Tools for Coaching – 3rd edition” by Gillian Jones and Ro Gorrell, published by Kogan Page (2015). Debbie is passionate about working with individuals to develop their confidence, capability and potential through the power of coaching. She will help you to identify your development goals, and using a range of tools and frameworks, will work with you to achieve them. Her focus will be on enabling you to achieve real and relevant results. As well as one-to-one coaching, Debbie is an experienced group facilitator and has worked with teams to collectively identify opportunities for improvement and address issues that impact effectiveness. Client references are available on request. The following are a sample of comments made by previous clients about what they valued from the support.